All of us have been closely following the Teaser Quotes from Spirit Bound that Penguin have been giving us to make the wait for Spirit Bound easier (or maybe harder? I don't know :-). What do you think? Are you loving the Teaser Quotes or are they just making the wait that much harder? 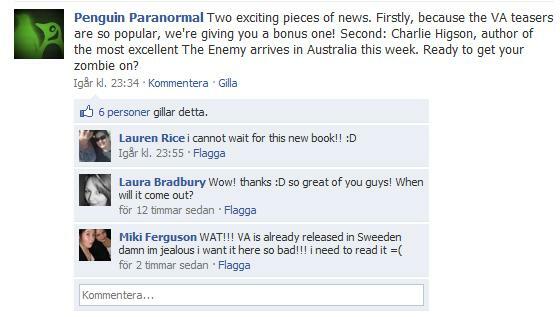 And it seems as though the news of my Spirit Bound book ;-) has gotten around. Thank you also to ShadowKissed.net for posting about it as well!